AROUND 1,000 Listahanan-identified unconditional cash transfer (UCT) beneficiaries received their cash aid at the gymnasium of the Cebu Technological University (CTU) main campus in Cebu City on Sunday, Feb. 24. Not less than 785,000 program beneficiaries were identified in Central Visayas. President Rodrigo Duterte, in coordination with the Department of Social Welfare and Development (DSWD) and the Land Bank of the Philippine, led the distribution of the P200 subsidy per month, or a lump sum of P2,400 for the entire year of 2018, to beneficiaries. The UCT is a subsidy to the poor to help mitigate the adverse effects of the new tax law. It will be given on the first three years after the Tax Reform for Acceleration and Inclusion (Train) law is implemented. For the year 2019 and 2020, the beneficiaries will receive P300 per month, or a lump sum of P3,600 per year. Among the beneficiaries of the program are members of the Pantawid Pamilya Pilipino Program (4Ps), Social Pension Program and Listahanan (DSWD database)-identified beneficiaries. According to Graeme Armecin of the DSWD 7 training center, the unconditional cash transfer will not affect the cash grants and benefits that members of the 4Ps and pensioners have been receiving. “The unconditional cash transfer will be in addition to their existing cash grants and benefits. For Listahan-identified beneficiaries, it will be their time to receive any form of cash assistance,” he said in Cebuano. Listahan-identified beneficiaries from Barangays Lorega-San Miguel, Ermita, Pasil, Kamputhaw, Kinasang-an Pardo and Mabolo in Cebu City were among the first batch to receive the aid in the region. 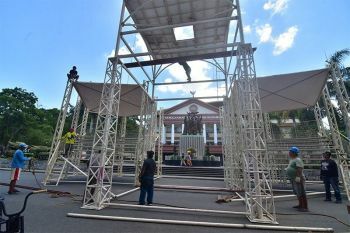 “The others will probably get their by the end of the first quarter, or around March 31,” he said in Cebuano. Rolita Abala, a 76-year-old UCT beneficiary, said the cash aid would help her small food business. “The cash will also help me make ends meet taking care of my five grandchildren,” she said in Cebuano. Florencia Daan, 45, said she would use the money to pay for her children’s school expenses. “I have eight children. 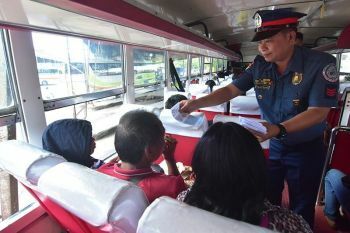 At least this (subsidy) will augment the earnings of my husband who is a truck driver,” she said in Cebuano. Meanwhile, Duterte, in his speech, reiterated his promise to get rid of drug pushers and drug lords before his term ended. “You are trying to destroy my country. 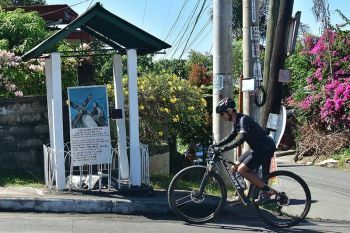 I will kill you,” he said, singling out the rampant drug problem in Talisay City. He said many social dysfunctions could be traced to the illegal drug problem. “I know that you, Cebuanos, voted for me because I am also a Cebuano. 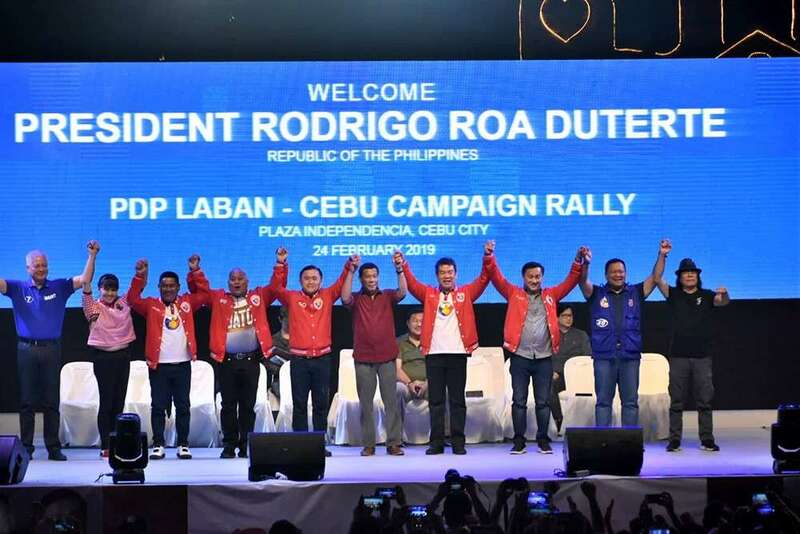 In return, I will stop illegal drug trade in Cebu and the country,” he said. Duterte also said he would not hesitate to punish members of the Philippine Drug Enforcement Agency or the Philippine National Police who were found to be involved in the illegal drug trade. The President said if he had his way, any drug personality deserved to die by firing squad or hanging as punishment. That is why he is pushing for the return of the death penalty.